Iberostar Hotels & Resorts is upping its game in Cuba. 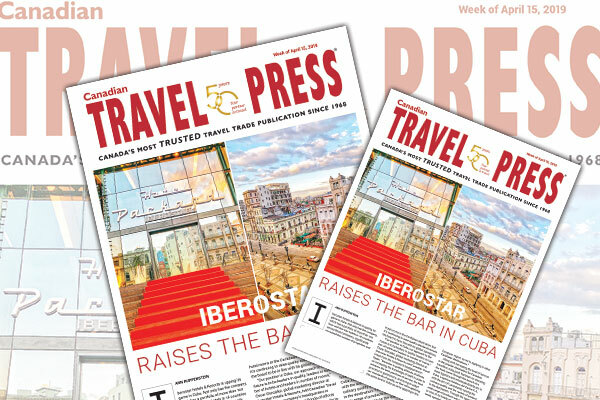 Not only has the company, which has a portfolio of more than 120 four-and-five star hotels in 18 countries across three continents, significantly increased the number of properties and hotel rooms in the Caribbean destination, but it’s continuing to raise quality standards across the board to be in line with its global operations, writes assistant editor, Ann Ruppenstein in this week’s issue of Canadian Travel Press. Along with increasing the level of service in the popular destination for Canadian travellers, a big push has been on elevating the food scene through the launch of a hotel logistics and wholesale distributor in Cuba, Logística Hotelera del Caribe S.A., with the aim of consistently raising the culinary quality and the variety of product in the destination. Through the operation, a wide range of products are now distributed to nine of its hotels on the island, including newly opened properties like the Iberostar Grand Packard and Iberostar Holguín.